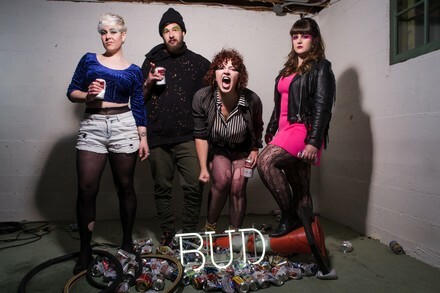 Armed with the power of loud makeup and giving zero fucks, Bad Buddy are a fun-as-hell punk group from Edmonton. They blend trained vocals with a punk ethos and crunchy guitars fit for dancing out your angries. Toss on your brightest eyeshadow and come party! Oh, they bad.